Happy Monday everyone! After the multiple snowstorms in New York last week, this weekend’s weather was what I needed. The sun came out both days and the temperatures were above 30F. It had me thinking that Spring really is just around the corner. The cheery weather had me reaching for lighter tones and a lot less black. 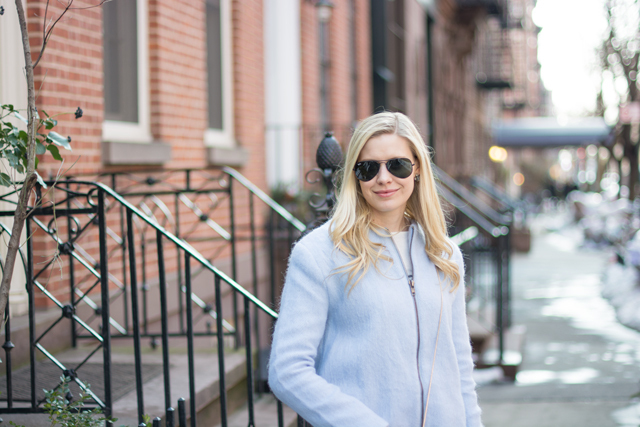 I wore this light blue coat with white jeans and it felt so appropriate for the weather. Now let’s hope this warm weather continues! This outfit is so delicate and pretty. 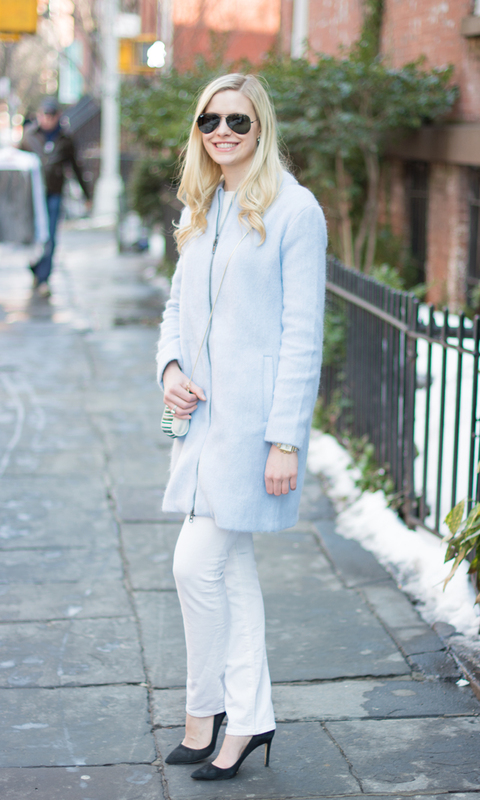 I love that pale blue coat! And the little crossbody bag you chose is adorable! Just found your blog and I’d like to say that it’s amazing! I like your photos and style of writing! Great job! Keep doing it! Great look! I am getting so tired of the snow! Can't wait for spring and summer to come! Beautiful pictures and great look. I love that pastel coat! I'm obsessed with that darling purse, what a great find! !